Home / Family / Chronic Illness can be The Impact of Childhood Trauma. Experiencing a traumatic event is hard for anyone, both men and women. Particularly if this condition has been experienced since childhood, the recovery process will certainly be more difficult and require more time. Making peace with trauma in the past is not easy, but needs to be restored as soon as possible. Not only undermining mental health, but the impact of prolonged trauma can also affect your physical condition as an adult. One of them triggers a chronic disease that is difficult to cure. Many people assume that chronic disease can only be caused by a physical condition that is not a prime or an unhealthy lifestyle. It turns out it's not that simple. Without realizing it, the chronic illness you are experiencing right now could be the impact of your trauma in the past. According to a study initiated by Robert R. Edwards and his team, the impact of past trauma that is not instantly will increase the risk of chronic illness by doubling. Children who experience traumatic events from childhood are at risk of up to 97 percent of chronic diseases as adults. The causes of the trauma can vary. Ranging from sexual abuse, verbal abuse, emotional violence, parental divorce, addictive substance abuse, to the death of parents. Trauma, both physically and emotionally, will trigger the body's stress response, making you more aware of external threats. When you experience tremendous fear, your body's nervous system will move very actively to protect yourself from danger. Trauma experts refer to this as a hyperarousal stage or excessive stimulation. After the trauma begins to subside, excessive stimulation of the nervous system will gradually decrease so you feel much calmer. However, make no mistake. The remnants of stimuli and traumatic injuries that you experience will remain and even continue to imprint on your body. Trauma may recur at any time. If analyzed more deeply, the brain may release this excessive stimulation at any time, particularly when you encounter a bad event later on. If it continues to be left on, the nerve tissue in the brain can be damaged and trigger chronic diseases in some parts of the body. While the bad experience happens again, the long-held trauma will return to the surface. The brain will begin to produce chemicals and stress hormones to get stronger pain. This pain not only interferes with the brain's nervous system but can also spread to other body parts. Over time, this can lead to chronic disease. 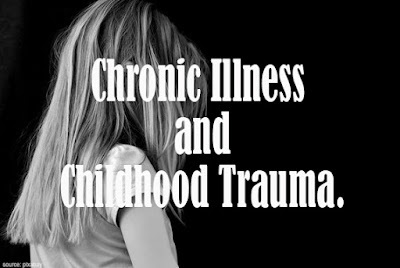 A psychiatrist in Australia, Dr. Michelle Atchison, said that the earlier your age is when you experience trauma, the more likely you are to be exposed to complex post-traumatic stress disorder (CPTSD). Symptoms can be very difficult to detect from the medical side. 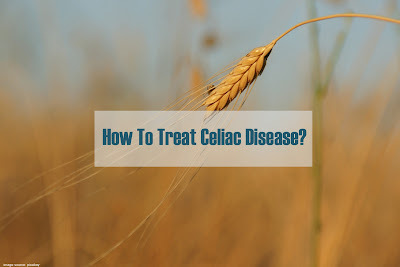 It's because the symptoms are similar to the symptoms of various other chronic diseases such as coronary heart disease, chronic bronchitis, and asthma, irritable bowel syndrome, to psoriasis. How to reduce the impact of past trauma. Recognize the symptoms of trauma. Once the symptoms of trauma appear, instantly calm yourself with breathing exercises. Sit in your most comfortable position, then set your breath slowly. While closing your eyes, take a deep breath through your nose and exhale as slowly as possible through your mouth. Feel the positive energy entering your body and let the muscles of the body become more relaxed. Remember, you don't need to insist on covering up your feelings. Just spill it if it can't be dammed. It doesn't matter if you want to be angry or cry to vent your emotions. However, that does not mean you can rage or hurt people around. It's good to pour out your emotions by writing a journal, drawing, playing music, or exercising. Talking or writing about your experience can help reduce the impact of trauma experienced. Tell your problems and bad experiences only to people you trust. Whether it's parents, siblings, or closest friends. Ask for their support to help you get out of the trauma. If you have done various ways but still feel traumatized, it's time for you to see a doctor or therapist. You may be encouraged to take certain therapies to restore childhood trauma. By doing therapy regularly, you will be better able to manage emotions and suppress trauma reactions that can recur at any time. Your doctor will also check your health thoroughly to prevent the risk of chronic diseases. This method does not 100 percent cure trauma and the risk of chronic diseases that you experience. However, at least this can help reduce the impact of trauma that haunts your life. Also, read 10 Reasons Why You Should Spend Time With Your Family. Being Grateful Will Make Your Heart Healthier. best blog for this category i really like your post and blog thanks for it and keep it up bro.